The standard lighting for sliding door closets is often neglected and undesirable and our kit provides an easy solution to a dark closet in the bedroom or elsewhere the house. The existing light in these spaces is often narrow, and mounted directly above the clothes rack with a great deal of shadows. Placing Alumiline® linear strips on the inside ceiling edge of the closet, facing the hanging clothes, gives uniform, natural lighting, showing correct colors and illuminates the length of the closet, consistently and appealing. Excellent interior closet lighting has a feeling of elegance that starts off the day with a positive mood. Using cool operating Alumiline® LED strips there is no safety concerns for heat, broken glass or high voltage and the kit is easily installed by an amateur “do-it-yourself-er.” Our Alumiline® closet kits are offered in 2 sizes – an 8’ “Standard” and a 14’ “Double Closet” size. Three temperatures of white are available – Cool White, Neutral White and Warm White – and, while personal preference is most important, if you’re not sure which light you would prefer we suggest using Neutral White. The size of a walk-in closet is much more variable than the sliding-door type of closet and Lighting this type of closet is much like lighting any other room in the house. 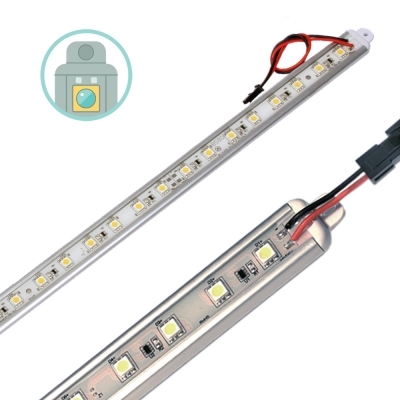 Walk-ins will have some existing light with overhead fixtures and supplementing this with Alumiline® LED to add linear lighting on shelves for hats, shoes, purses and clothing accessories will reveal accurate color rendition for proper clothing selection. If your ceilings are high enough, Alumiline® is beautifully suited for the installation of Cove Lighting, to give a glowing feeling to your closet area. 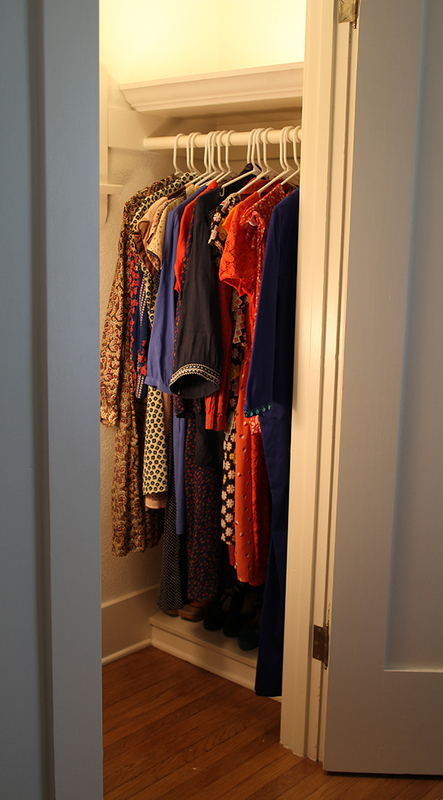 Lighting a mirror in a walk-in closet is useful for checking color matches and accessorizing. 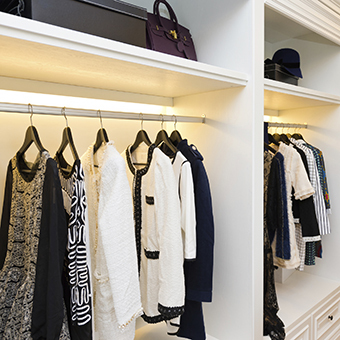 For any style of closet, Alumiline® LED strips can be installed with motion sensing switches, contact switches, or a mechanical flip on/ off switch.